From the launch of Apple's iPhone X to Bitcoin's rise to frantic dealmaking in the chip sector, here's a look at the most important tech stories from an action-packed 2017. To say 2017 was a big year for technology and tech stocks would be an understatement. As the Nasdaq surges to new highs this year on the back of stellar performances from not only the FANG stocks, but many other tech names from Broadcom Limited (AVGO - Get Report) to Nvidia Corp. (NVDA - Get Report) , there was no shortage of headline-grabbing news. 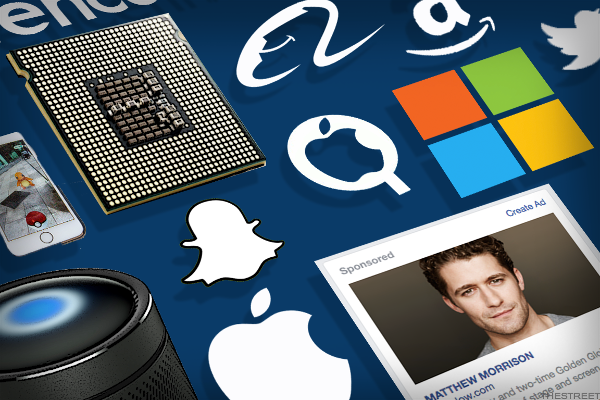 From new smartphones to electric cars to chips to cloud platforms, TheStreet takes a birds-eye view of 2017's top tech stories. 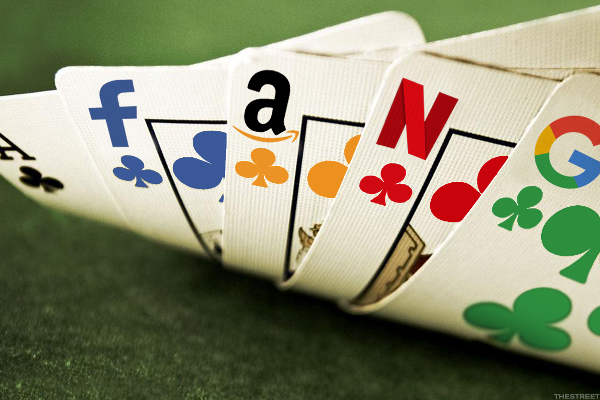 As 2017 draws to a close, Apple (AAPL - Get Report) , Alphabet (GOOGL - Get Report) , Amazon (AMZN - Get Report) , Facebook (FB - Get Report) and Microsoft (MSFT - Get Report) are collectively worth over $3 trillion. They've turned in one strong earnings report after another, put to rest plenty of fears (weak PC sales, limited iPhone X supplies, slowing news feed ad load growth, etc.) and led investors to think twice about doubting their ability to fend off rivals and conquer at least some of the new markets they enter, or expand existing ones. But all this success also made quite a few people on both the right and the left nervous about the power wielded by tech giants -- in determining what content and ads consumers see, affecting HR policies, impacting small businesses, influencing politicians and regulators and much else. For now, the scope of the backlash appears to have been kept in check by how much so many of the products and services offered by tech giants remain beloved by the masses. Apple, Alphabet, Facebook and Microsoft are holdings in Jim Cramer's Action Alerts PLUS Charitable Trust Portfolio. Want to be alerted before Cramer buys or sells AAPL, GOOGL, FB or MSFT? Learn more now. On the other side of the Pacific, Alibaba (BABA - Get Report) and Tencent (TCEHY posted growth rates easily besting those of any of the U.S. Big Five, save for Facebook. China's near-7% GDP growth and a burgeoning middle class helped, but so did company-specific factors. 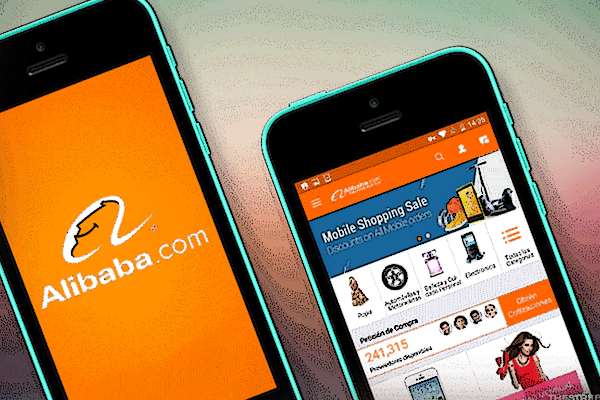 Alibaba's core Taobao and Tmall marketplaces remained dominant in China, and the company steadily improved its ability to monetize Taobao/Tmall activity via things such as ads, commissions and shipping services. Alibaba also got a small-but-growing contribution from its AliCloud unit, China's top cloud infrastructure service provider. Meanwhile, Tencent continued towering over China's huge online/mobile gaming market and succeeded (via revenue streams such as ads, games and payments) at monetizing its very popular WeChat messaging app in a way that has to make Mark Zuckerberg envious. Anticipation was especially high this year for Apple's September flagship iPhone launch, and by and large, the company didn't disappoint. With an edge-to-edge OLED display, front-and-back glass panels, superb dual rear cameras and an advanced face-recognition (Face ID) system made possible by a one-of-a-kind front camera system featuring multiple infrared modules, the iPhone X shined a light on Apple's design and engineering strengths in a way that only a handful of iPhone launches have. The X's high starting price ($999 in the U.S., higher in many overseas markets) also raised plenty of eyebrows. But with many Android rivals also hiking prices for flagship models this year -- and high-end phone buyers generally accepting the hikes -- Apple is part of a broader trend here, albeit while pushing it a little further than others. Does a car launch count as a tech story? 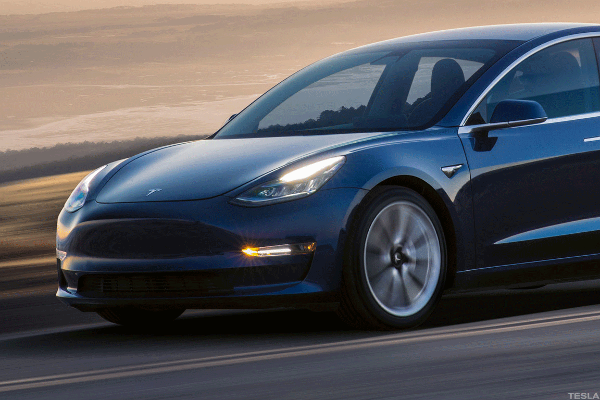 It might when that launch -- thanks to the performance, range and features the unveiled car can deliver at a sub-$40,000 price point -- could end up being a watershed event for electric cars. That's all the moreso when it supports (for an extra $5,000) what's arguably the most advanced autonomous driving system available on a consumer vehicle , and when most of its controls, save for the steering wheel and pedals, are put on a 15-inch touchscreen. It started at CES in January, as a slew of hardware makers unveiled speakers supporting Amazon's Alexa voice assistant and many others announced their smart home devices could be controlled by Alexa. It continued as sales of Amazon's Echo speakers surged over the course of 2017 with the help of promotions and new hardware launches, and the number of third-party "Skills" supported by Alexa grew by the thousands. And then Google got serious about challenging in this market via new hardware, programming interfaces and partnerships. Apple also unveiled its HomePod smart speaker, although its specs and pricing make it more a rival to Sonos than to Amazon. 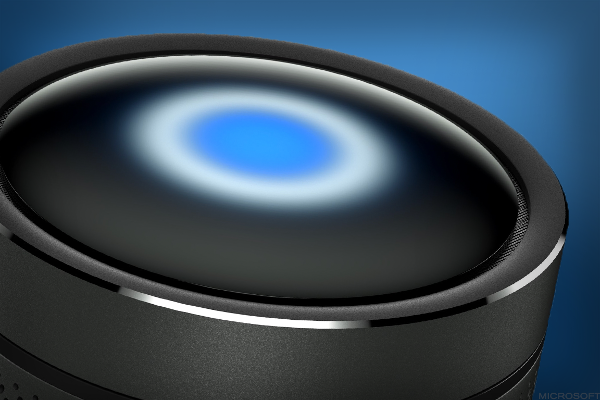 Smart speakers will never see the kind of volumes enjoyed by smartphones, but they've become cheap and capable enough to spawn a mass market. And there are only so many of those in the consumer electronics world. It was called a bubble at $1,000. Then at $2,000. Then at $5,000. And it's certainly being called one today, as the highly volatile cryptocurrency trades close to $18,000 and sports a market cap close to $300 billion. 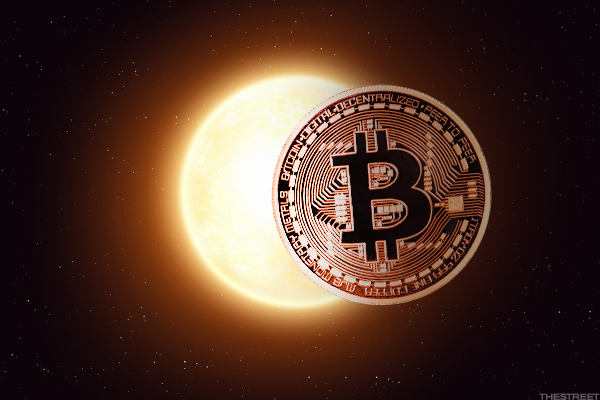 Nonetheless, in the eyes of true believers convinced that Bitcoin will replace gold as a store of value and/or act as a decentralized global currency, the fun is just getting started. Bubble or not, the speed at which Bitcoin has gone "mainstream" and turned into a financial and cultural phenomenon has made for quite the story. So has the broader mania surrounding cryptocurrencies, which has included the arrival of dozens of smaller cryptos and many initial coin offerings (ICOs) through which cryptos are used to pay for "tokens" granting access to digital goods and services provided by the issuer. It's also led to big shortages of AMD Inc. (AMD - Get Report) and Nvidia graphics cards that are popular with crypto miners. 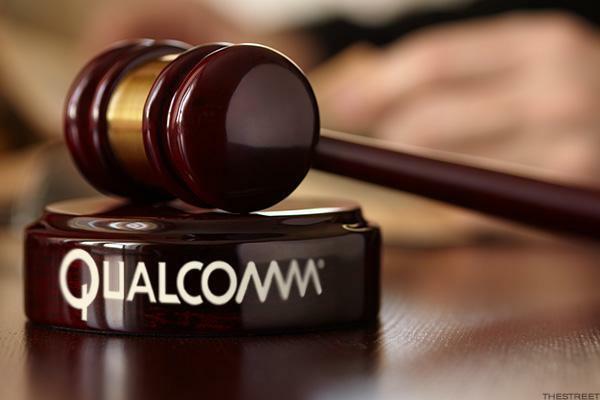 Qualcomm (QCOM - Get Report) has faced plenty of patent-licensing disputes over its history, but its fight with Apple over royalties owed on iPhones and other 4G-capable iDevices might take the cake. That's true both because there are billions of dollars on the line, and because Apple is taking aim at the licensing policies that underpin Qualcomm's deals with mobile OEMs in general. The dispute has yielded plenty of suits and countersuits, as well as a Qualcomm request for U.S. import bans on iPhones relying on Intel (INTC - Get Report) modems. The fight doesn't appear close to being resolved, particularly given the potential for story #8 to throw a wrench into it. Broadcom Ltd. (AVGO - Get Report) is the product of several big acquisitions that were financed in large part with debt, and followed by cost cuts and asset sales. But all of that, even 2015's $37 billion Broadcom-Avago deal, would pale relative to a deal for Qualcomm if Broadcom pulled at off. 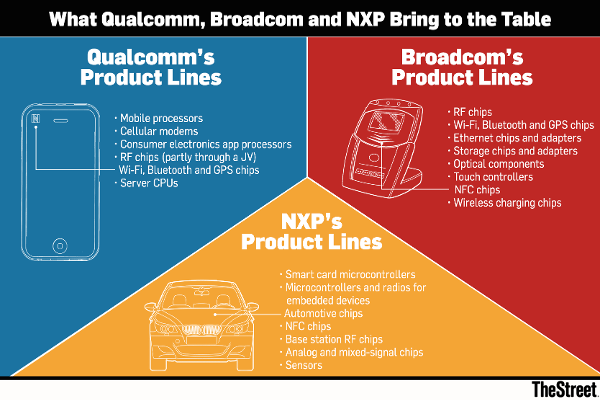 Broadcom's initial offer -- made possible by the impact of the Apple dispute and other legal/regulatory battles on Qualcomm's shares -- is valued at $130 billion after accounting for Qualcomm's pending deal (unlikely to be closed at its current price) to buy NXP Semiconductors (NXPI - Get Report) . The combination would create a mobile, data center and automotive chip giant. With Qualcomm having rejected Broadcom's offer as insufficient, Broadcom is now aiming to replace Qualcomm's board at its March annual meeting and is reportedly mulling a higher bid. This story, too, is far from over -- especially since any deal would see lengthy regulatory reviews. Broadcom and NXP Semi are holdings in Jim Cramer's Action Alerts PLUS Charitable Trust Portfolio. Want to be alerted before Cramer buys or sells AVGO or NXPI? Learn more now. The Internet giants had already established dominant online/mobile ad positions prior to 2017, but never were the effects felt more strongly than this year. As many smaller ad tech firms consolidated and ad-supported web publishers weighed "pivots to video," Google and Facebook used their scale, data and targeting advantages to keep recording strong double-digit ad sales growth. Google by offsetting ad price declines with strong mobile search and YouTube ad growth, Facebook by offsetting slower ad impression growth with larger price increases. But media and public scrutiny of Google and Facebook's ad businesses also grew. 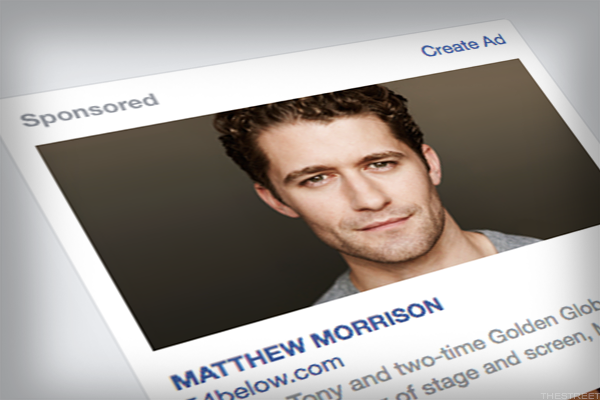 As Facebook dealt with the fallout from politically-motivated Russian ad purchases and race-based targeting options, and Google from revelations that ads from major brands had run against YouTube videos from extremist groups, the companies scrambled to overhaul their ad policies. 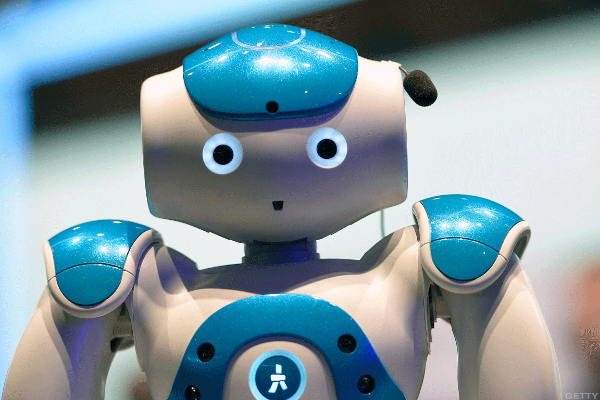 Just as companies scrambled in the early part of the decade to come up with "mobile strategies," they scrambled in 2017 to develop AI strategies. Thanks partly to the work of tech giants in this field, businesses large and small began seeing the potential of well-trained machine learning algorithms to do everything from translate text to detect objects within photos and videos to uncover potential hacking attempts to glean insights from corporate data. Nvidia was a large beneficiary, as AI-related sales of its Tesla server GPUs -- easily the most popular means of training artificial neural networks (ANNs) -- blasted off. One speed bump that could slow down the trend in 2018: There's a limited supply of skilled AI researchers, and tech giants are cornering much of it. 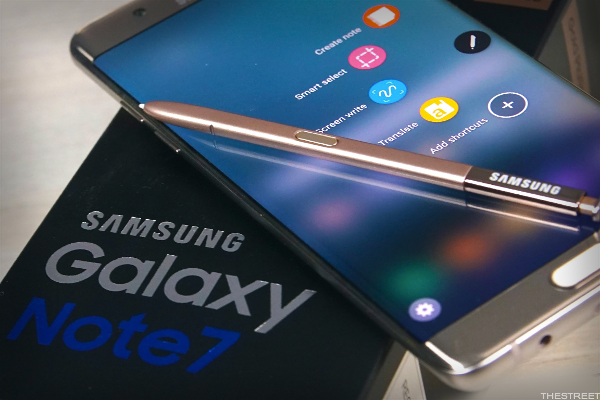 As Samsung's (SSNLF 2016 Galaxy Note 7 launch literally went up in flames, many wondered if Apple and Android rivals would take share from the Korean tech giant in response. That largely didn't happen, as both Samsung's Galaxy S8 and Note 8 delivered strong debuts with the help of quality cameras and eye-catching edge-to-edge OLED displays (sound familiar?). Other parts of Samsung's empire also did well, helping to minimize the debacle's impact. Chip sales jumped thanks to a DRAM/flash memory boom cycle, and display sales got a boost from big OLED panel shipments to both Samsung's phone unit and Apple. Once derided as "the Albanian army" by Time Warner CEO Jeff Bewkes, Netflix (NFLX - Get Report) is set to end 2017 with about 115 million streaming subscribers. 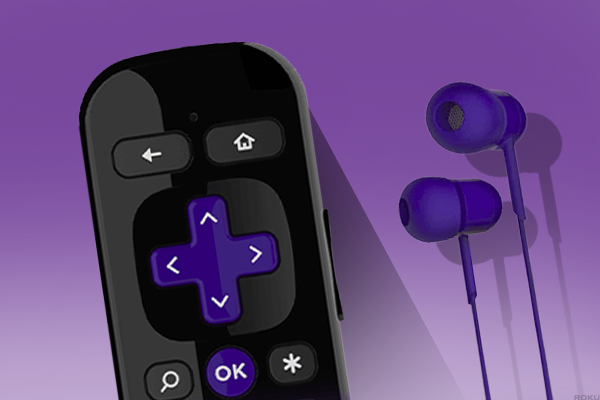 That spells a net gain of more than 21 million subs in a year that saw cord-cutting exact more pressure on pay-TV providers and the TV networks relying on them. Along the way, Netflix hiked prices without seeing a major customer backlash and announced it plans to spend $7 billion to $8 billion on content next year. Media giants are desperately looking for ways to counter -- perhaps none moreso than Disney (DIS - Get Report) , which plans to pull its films from Netflix at decade's end and put them on a Disney streaming service, and later struck a deal to buy Twenty First Century Fox's (FOXA studio, regional sports and international TV assets. 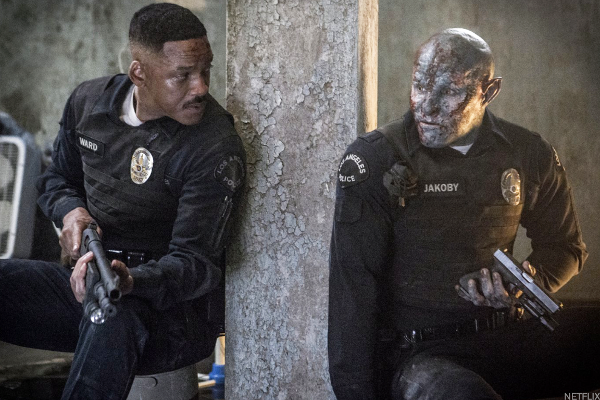 But it might be a few years too late for Hollywood to seriously slow Netflix's momentum. 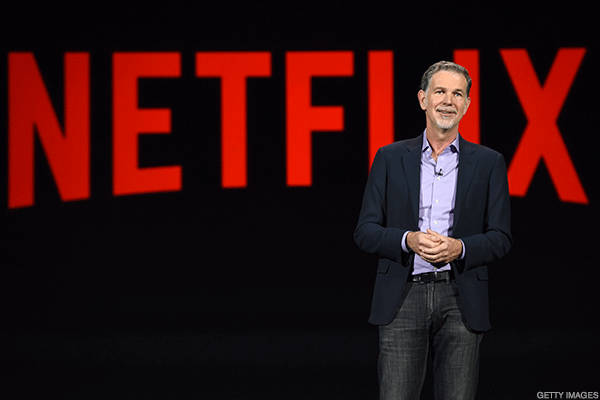 Though Netflix's content bets get the most attention, they're one part of a larger story. Amazon is believed to be spending several billion on content for its Prime Video service this year; Apple was reported in August to have set a $1 billion original content budget for the next year; and Facebook is reportedly willing to spend up to $1 billion on original content through the end of 2018. In addition, Google has stepped up original content investments for its YouTube Red service, and Snap (SNAP - Get Report) has been teaming with media firms on shorter productions for its Discover platform. Throw in the investments made by Old Media firms -- whether indirectly via Hulu, or directly via their own streaming services -- and Netflix's willingness to invest in big-budget movies such as Bright and War Machine, and there's clearly been a sea change in how long-form content is financed, distributed and consumed. But with all this activity raising content-financing costs and raising fears of a bubble, there could eventually be a shakeout. Many investors (including quite a few Millennials who use the service) bought shares of Snap during or right after its IPO in the hope that they were getting in early on the next Facebook. 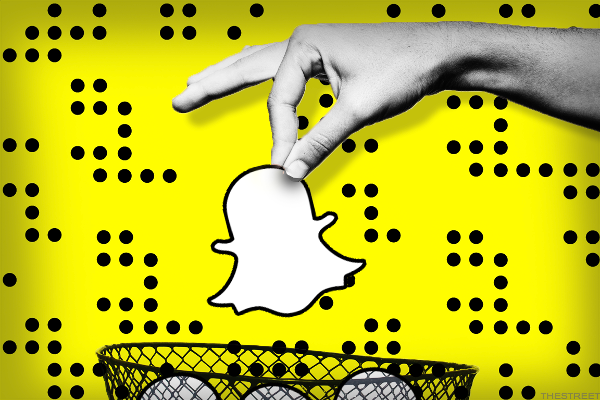 But as the company turned in one disappointing earnings report after another, with both sales and daily active users (DAUs) missing estimates and heavy losses continuing to be reported, shares tumbled below the IPO price and fears grew that the Snapchat parent was something closer to the next Twitter. Snap isn't necessarily the next Twitter -- its execution is much better in certain respects, and its core base of younger U.S. and European consumers remain pretty loyal to Snapchat. But Facebook's social media ad dominance, together with the popularity of some of its Snapchat Stories clones, are proving bigger challenges than bulls once assumed. Though Snap's post-IPO performance has been disappointing and a handful of other tech firms -- think meal-delivery firm Blue Apron (APRN - Get Report) or flash storage array vendor Tintri (TNTR -- had dreadful debuts, there were also quite a few success stories amid a banner year for the Nasdaq. These include cloud app security software firm Okta (OKTA - Get Report) , data preparation software firm Alteryx (AYX - Get Report) , streaming hardware/platform provider Roku (ROKU - Get Report) and online real estate agency Redfin (RDFN - Get Report) and app development software firm Appian (APPN - Get Report) . Also, 2017 saw some tech names that had struggled after going public in recent years finally turn a corner. Examples include payments upstart Square (SQ - Get Report) and online content-sharing platform Box (BOX - Get Report) . 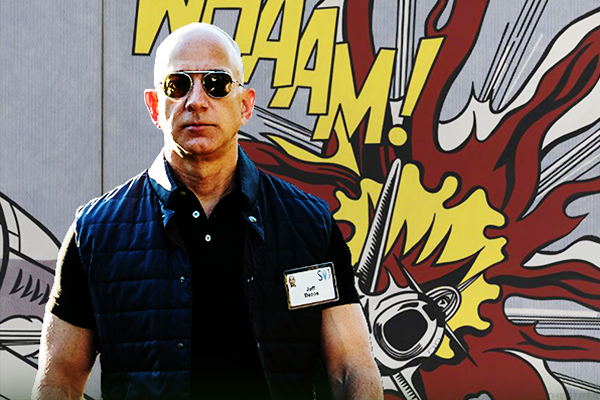 To be fair, this was hardly the first year that Amazon did this. But the fear factor got dialed up to another level this year, as Jeff Bezos' firm continued posting 20%-plus e-commerce growth, added tens of millions more Prime members and hatched plans to become a top player in a number of additional markets. The $13.7 billion Whole Foods acquisition, news of which immediately led shares of major grocery sellers to tank, was easily the biggest headline-grabber on this count -- particularly given Amazon's plans to cut Whole Foods' prices and make Prime the grocery chain's rewards program. But various Amazon moves in 2017 also unsettled the likes of shoe retailers, drugstore chains and convenience store chains. Look for additional retail industries to sweat thanks to Amazon moves hatched in 2018. Though AMD had been providing some competition to Intel in the low-end PC CPU market, the chip giant had an effective stranglehold on the mid-range and high-end. 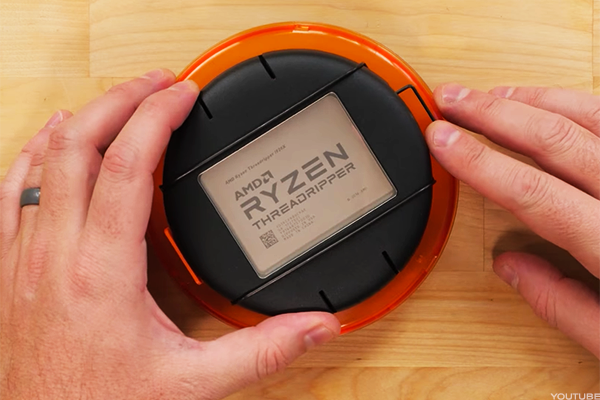 That finally began to change in early 2017, thanks to the launch of AMD's Ryzen desktop CPUs. Relying on a new CPU core architecture and an advance 14-nanometer manufacturing process, Ryzen desktop chips proved very competitive with Intel's Core i5 and i7 desktop parts. And they were followed by Ryzen processors for notebooks, as well as for enthusiast PCs and workstations. Intel countered by speeding up the launch of 8th-gen desktop and notebook CPUs that delivered big performance gains over their predecessors, and also rolled out its new top-of-the-line Core i9 line. But it wasn't long after this that Intel faced a new threat from Qualcomm, which teamed with Microsoft and PC OEMs to create Windows 10 notebooks powered by its Snapdragon 835 processors. With 4G modems, top-notch battery life, reasonable prices and smartphone-like instant-wake abilities, the devices spell additional competition for Intel in the sub-$1,000 notebook market. Naturally, Intel, AMD and Qualcomm's roadmaps point to big additional moves in the quarters to come. Consumers and businesses will benefit from this intensified competitive environment. In 2016, Intel announced big layoffs that hit its PC CPU operations particularly hard, and unveiled a transformation plan heavily centered around data center and IoT opportunities. In 2017, the company got serious about backing up its talk. 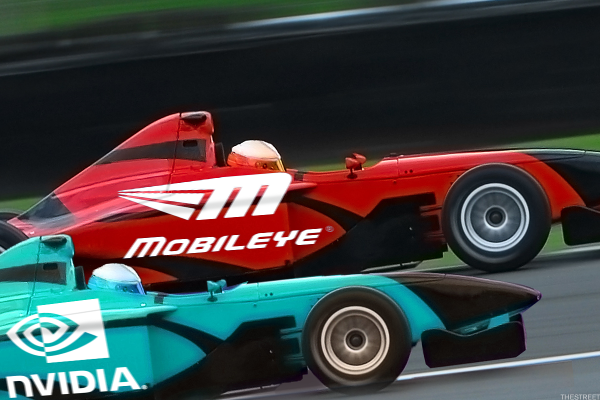 It started in January, when Intel struck a $15 billion deal to buy top driver-assistance vision processor vendor Mobileye. The following month, it promised to significantly up its data center, IoT and flash memory R&D spend, while paring back its PC-related spending. And in July, Intel rolled out a much-anticipated refresh for its Xeon server CPU family, while changing how it segments the products to make advanced features available on the types of chips cloud giants are likely to buy. Intel also began shipping PC and server SSDs based on its 3D XPoint next-gen memory (developed with Micron (MU - Get Report) ), and (with the help of technology obtained from startups bought in 2016) unveiled new silicon for processing deep learning algorithms for both servers and end-user devices. And in November, it announced plans to take on Nvidia in the high-end discrete GPU market with the help of AMD's former GPU chief. Some of the newer Intel initiatives might not live up to expectations, and just about all of the company's non-PC efforts (new or old) face competition from one or more big-name chipmakers. But no one can accuse for being oblivious to industry trends. After nosediving during much of 2015 and 2016, DRAM prices began moving higher in late 2016 and have remained on a torrid run since. With a highly consolidated DRAM industry keeping a lid on supply growth, and both smartphone and server makers upping their memory consumption, top-3 suppliers Samsung, Micron and SK Hynix saw their sales and profits take off this year. 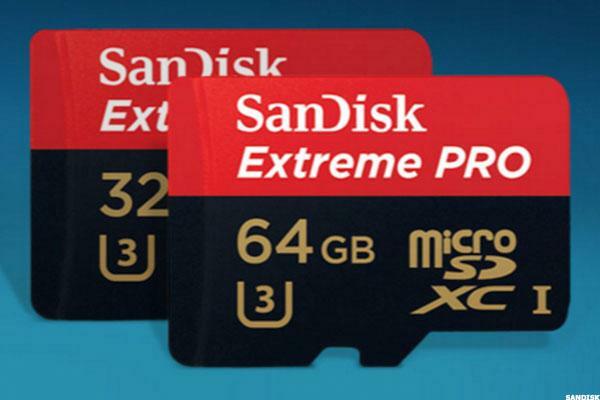 The story was fairly similar for the more competitive NAND flash memory market. Though supply grew faster here as production of high-density 3D NAND flash grew, so did demand, as SSD adoption continued surging and smartphone makers upped storage capacities for their most popular models. That was enough to keep supply constrained and prices high. While the latest memory boom cycle has been great news for memory makers, as well as for chip equipment suppliers seeing DRAM and NAND makers up their orders, PC and data center hardware makers forced to raise system prices and/or cut the amount of memory included within their products haven't been so thrilled. As 2017 draws to a close, some relief appears to be in sight for NAND prices, but DRAM prices might remain high for a while longer. Much like memory, operating systems or wireless networks, scale tends to matter a lot in the public cloud infrastructure market. That's true not just in terms of bringing down costs, but also in terms of building out a software/services ecosystem and having the R&D resources to launch dozens of new features annually. As the blizzard of new services and partnerships unveiled at its November AWS re:Invent conference drive home, no one can match 800-pound gorilla Amazon Web Services (AWS) in either of these fields. And with AWS still seeing 40%-plus revenue growth and closing in on a $20 billion annual revenue run rate, this edge doesn't seem to be in any danger of evaporating. 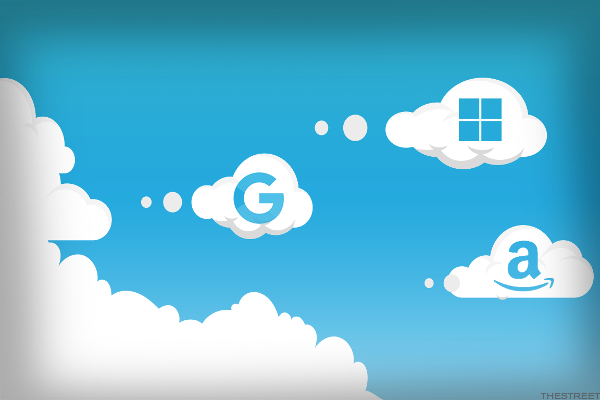 Microsoft and Google are big enough, and continue to invest enough, to provide credible competition for AWS, particularly since each firm's cloud platform has some unique strengths that can appeal to the many enterprises willing to use multiple cloud providers. But smaller players are in a tougher spot. A number of would-be AWS rivals, including VMware (VMW - Get Report) , Verizon (VZ - Get Report) , AT&T (T - Get Report) , Dell and HPE (HPE - Get Report) , have either thrown in the towel or pared back their cloud ambitions over the last two years. Look for more to do so over the next two. Augmented reality headsets aren't yet ready for primetime -- at least not ones that can be comfortably worn outside and are cheap enough to appeal to millions of consumers. But with the help of powerful processors, quality cameras and motion sensors and constantly-improving machine learning algorithms, hundreds of millions of smartphones are now capable of delivering advanced AR experiences. For now, Apple has a head-start on Google in making such experiences available. 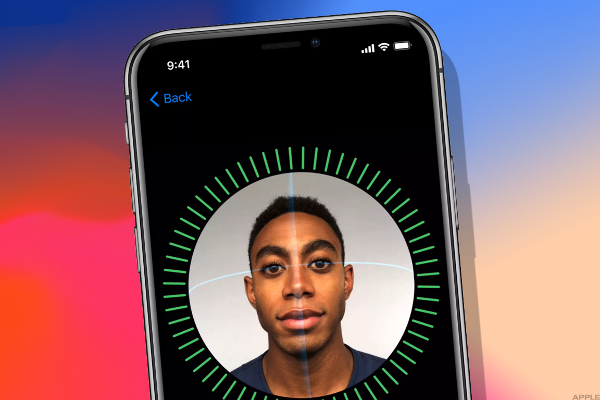 In addition to enabling Face ID, the iPhone X's TrueDepth camera system enables Animojis, digital avatars that mimic a user's facial expressions and movements. And the company's ARKit platform, provided via iOS 11 to owners of iDevices featuring an A9, A10 or A11 processor, has stoked the imaginations of developers. Amazon and IKEA are using it to let shoppers see what items will look like in their living rooms; Giphy is using it to let users record videos with superimposed animated GIFs; and many game developers have launched titles in which digital characters and objects are placed within a user's real-world surroundings. Google has responded to ARKit by unveiling a rival solution called ARCore; it's only available on a small number of Android phones for now, but many more will support it soon. The company has also leveraged its AI strengths to launch Google Lens, a service that analyzes whatever is detected by a phone's rear camera and provides relevant information and content. 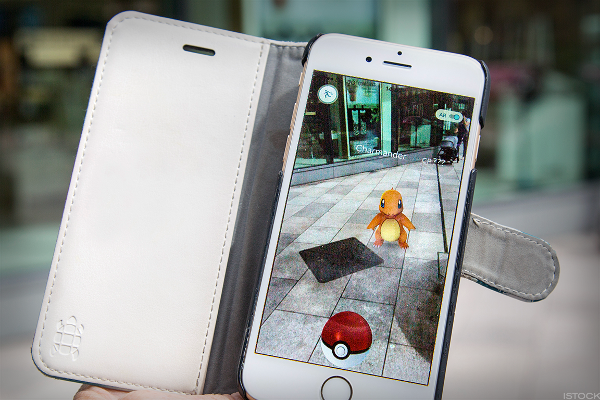 Smartphone AR usage is still in its early stages, but the groundwork has been laid for large-scale adoption. VC Marc Andreessen famously quipped in 2011 that software is eating the world. It's certainly taking a larger bite out of enterprise IT budgets. As Global 2000-type companies spend less on hardware and steadily move workloads to cloud infrastructures, they're spending more than ever on software. Sales of everything cloud apps from databases to analytics and security tools continued rising in 2017. Moreover, in hardware fields such as networking and storage, adoption of "software-defined" platforms that play nice with commodity hardware has been gaining momentum. No wonder, then, that Cisco (CSCO - Get Report) continued aggressively using M&A to grow its software and services exposure. Or that HPE, which embarked on a hardware-focused transformation strategy, had a very rough year. 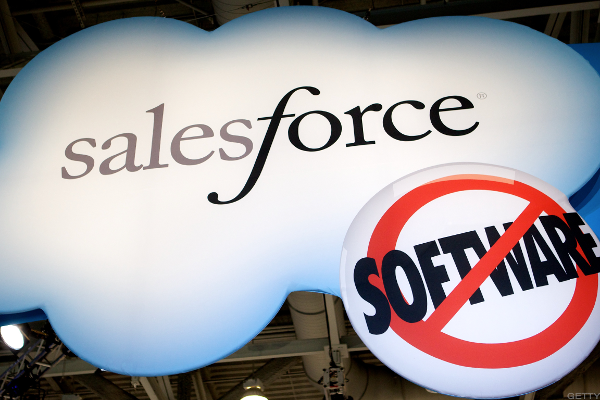 A number of big-name enterprise software firms, including Microsoft, SAP (SAP - Get Report) , Salesforce.com (CRM - Get Report) , VMware and Red Hat (RHT - Get Report) , fared much better. With the help of strong debuts for big-budget titles such as Destiny 2, Call of Duty: WWII and NBA 2K18, game developers Activision Blizzard Inc. (ATVI - Get Report) , Electronic Arts (EA - Get Report) and Take-Two Interactive (TTWO - Get Report) all had strong years. Also helping the group: They've become quite good at monetizing their top franchises via revenue streams such as eSports franchises, subscriptions, expansion packs and (though these can be a dual-edged sword) in-game purchases. Gaming hardware sales were also brisk. 2017 sales of Sony's (SNE - Get Report) PlayStation 4 are set to top 20 million, and the console's lifetime sales are now above 70 million. And sales of Nintendo's innovative Switch console, which launched in March and can function as either a TV-based or handheld system, have topped 10 million. Nvidia, meanwhile, has seen very strong demand from PC gamers for its high-end Pascal-architecture GPUs. 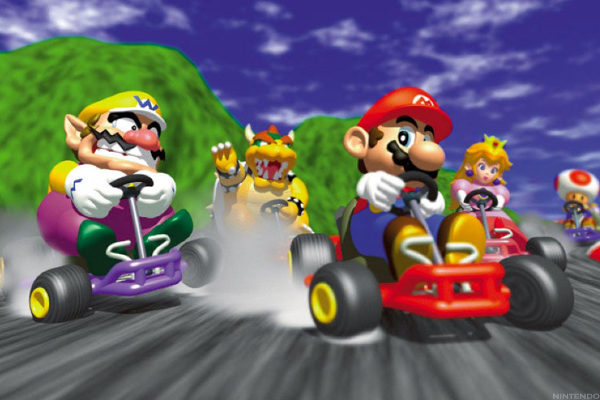 Though a large portion of casual gaming activity has shifted to phones and tablets, those looking for more advanced gaming experiences are spending more time than ever partaking in them on consoles and PCs. And one way or another, they're also spending more money than ever on those experiences. Activision Blizzard is a holding in Jim Cramer's Action Alerts PLUS Charitable Trust Portfolio. Want to be alerted before Cramer buys or sells ATVI? Learn more now. 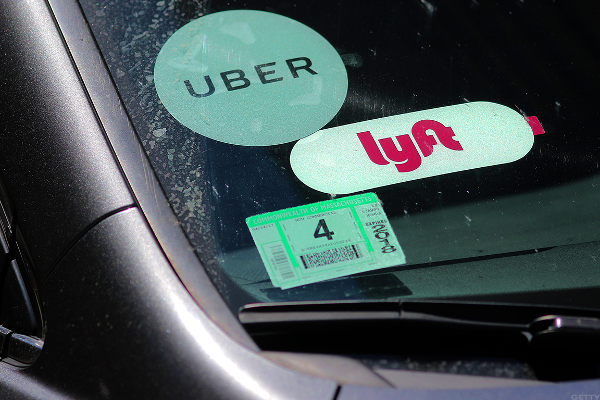 The storm cloud of controversy that had already surrounded the ride-hailing leader in 2016 exploded in 2017. In the wake of sexual harassment allegations, regulatory probes and a lawsuit from Alphabet's Waymo unit over the alleged theft of self-driving technology, CEO Travis Kalanick was pushed out and eventually replaced with Expedia (EXPE - Get Report) chief Dara Khosrowshahi. The drama didn't stop there. Kalanick, still chairman, appointed two new directors to Uber's board in the face of staunch opposition. And he's still in a legal battle with early Uber investor Benchmark, which wants him off the board. Meanwhile, Benchmark and other Uber investors are reportedly close to selling shares to Japan's SoftBank at a price that represents a significant haircut to the $68 billion valuation granted by Uber's most recent funding round. Amid all of this, Uber continued seeing healthy revenue and bookings growth, and narrowed its massive losses some. 2017 may have been a messy year for Uber, but the company did arguably make progress towards its goal of doing a 2019 IPO. Did Twitter (TWTR - Get Report) turn a corner in 2017? That depends on how you look at things. Monthly active user (MAU) growth was still anemic over the first three quarters of the year, in spite of all the free publicity provided by President Trump's tweeting activities, and ad sales continued falling. But the microblogging platform did take more aggressive steps towards remaking its core services, which seems to be paying off. Clearly, no move was bigger than doubling Twitter's oft-criticized 140-character limit this fall. And in spite of staunch opposition from parts of its base, early data suggests Twitter's gamble is paying off. In addition, the character limit move was preceded by moves such as creating an Explore tab that fuses Twitter's search, Moments and trending hashtags features; showing more algorithm-driven content within user Timelines; and teaming with Bloomberg on a Twitter-hosted video news network. And along the way, Twitter also stepped up its efforts to deal with abuse and harassment. In the eyes of this observer at least, there are quite a few things that Twitter could still be doing better. However, it's encouraging that Jack Dorsey & Co. have come to accept that the status quo didn't cut it. 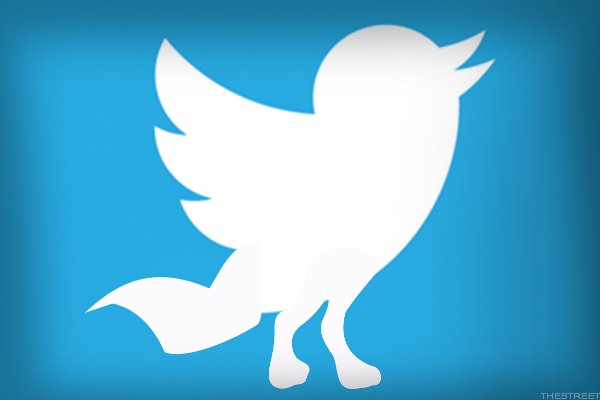 Will a suitor attracted to the untapped potential of Twitter's platform take notice as well?